Girls love to be a princess. Getting what they love and let them play as much as they want in their imaginary castle would give them know that parents support their needs and imagination. It also makes them free with their imagination, something that all parents need to do. 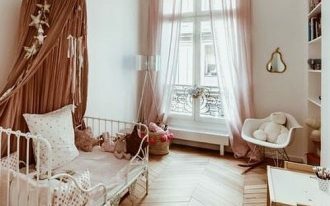 And here below are ten stunningly beautiful bedroom for little princess that you will love too. 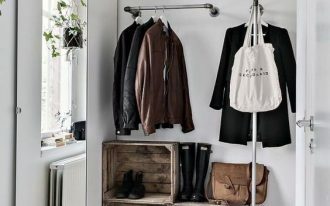 One of the easiest way to support their imagination is by choosing the right bed platform. This one here takes shape of a carriage with beautiful curves and curtain that will ensure the girl that they are safe in their journey to the dreamland. 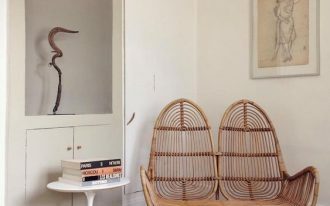 Similar to the previous one, this one here also takes the shape of a carriage with its curve and curtain, and also the round wheel. However, while the previous one is a bed platform, this one here is a crib for a baby. 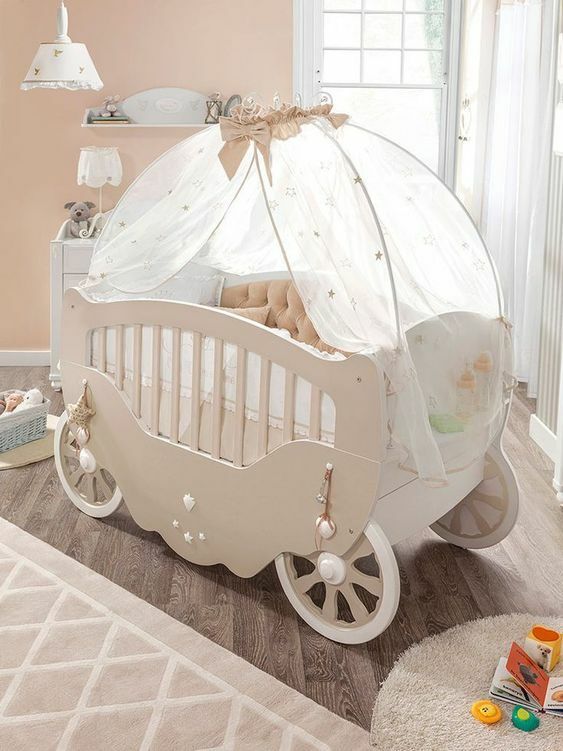 Completed with white curtain and bow on top, this crib is so sweet and pretty. 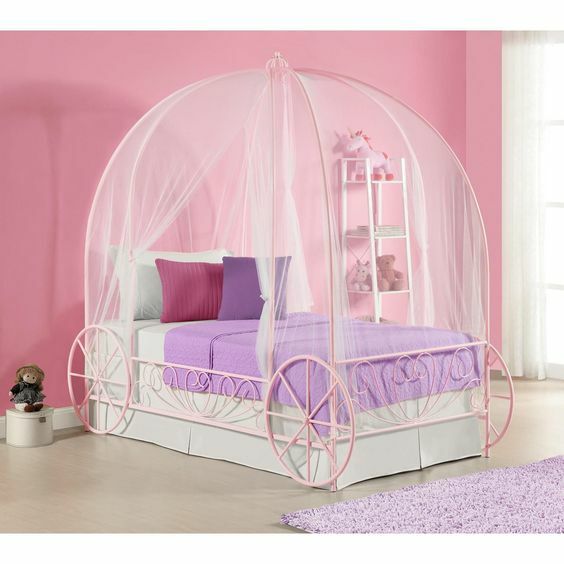 This one here not only shows a great bed for a princess but also a great design too. 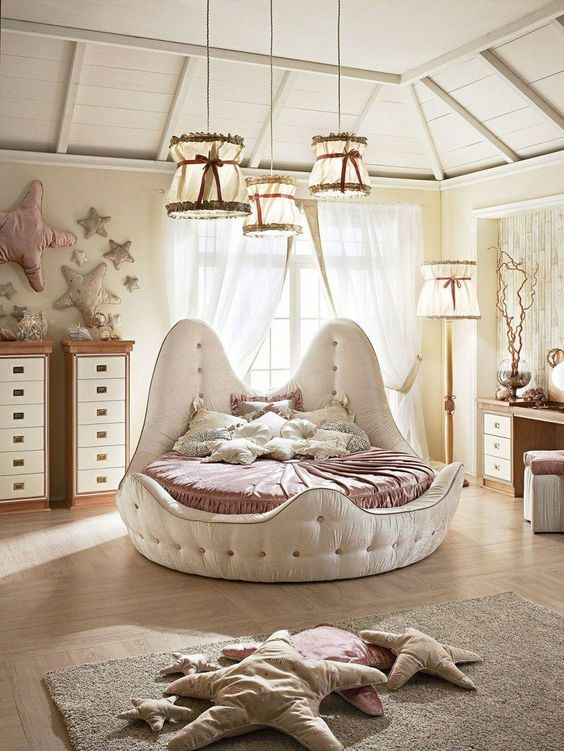 With its round tufted platform, the bed looks luxurious and elegant. And the pink bedding is just so perfect. 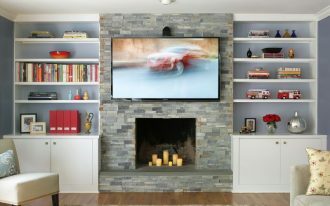 Completed with lighting fixtures with white material cover, the room looks sweet and pretty. This one here also shows an interesting shape of circular carriage that makes it even more interesting. 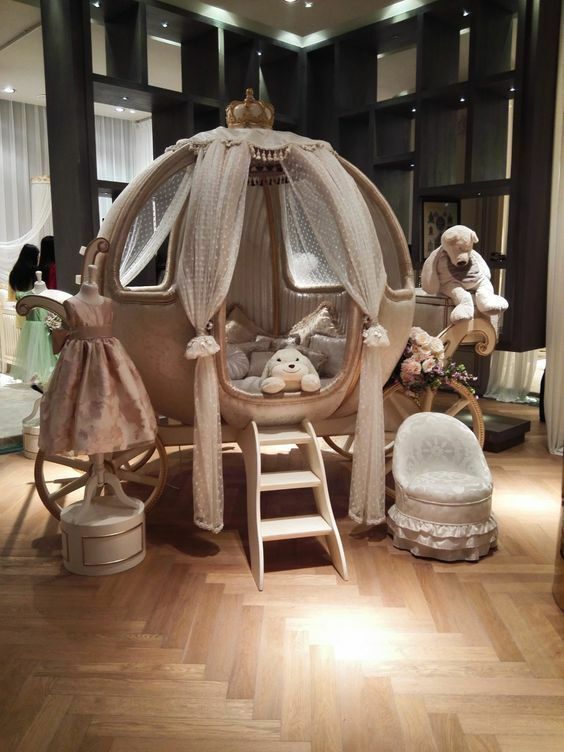 With windows and curtains on the carriage, it will make the bedtime even more fun. The stairs also makes it a real carriage in their imagination, not to mention the place for the coachman to sit. 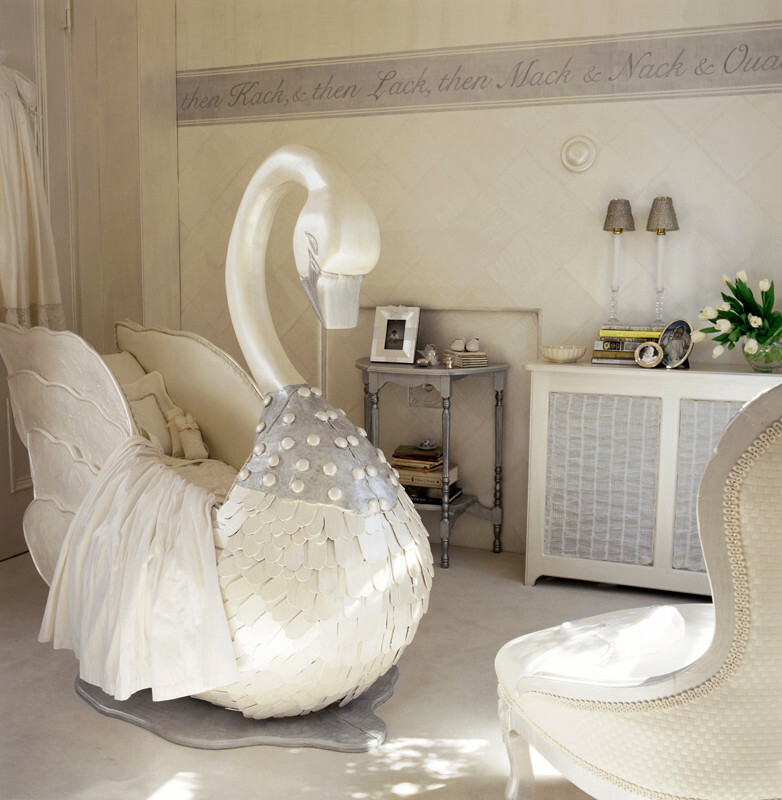 For a princess who love to ride a beautiful goose in the water and in the air, this crib is perfect. It is so beautiful with all the detailed texture and color. 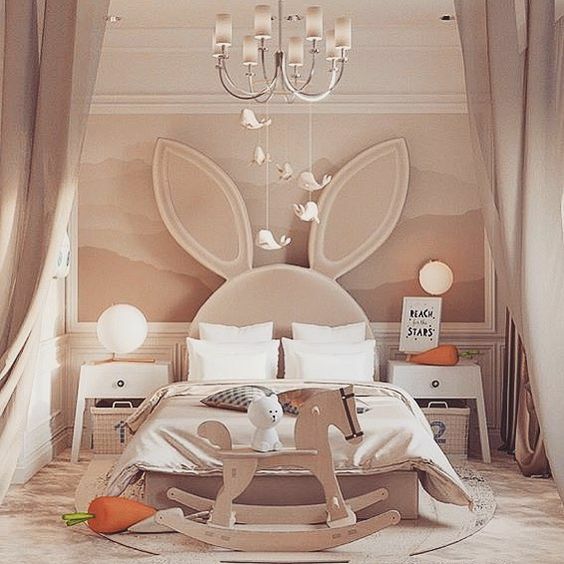 This one here is for a princess who is like Alice in the wonderland, they would love to have the rabbit headboard like this one especially if you also put some hanging accessories on the chandelier or pendant and some other animal related accessories. This one is for a princess who love to travel with the royal air balloon. Designed elegantly with some golden lines on the balloon and the round godola bed, this air balloon will fly the girls’ imagination to everywhere they want. 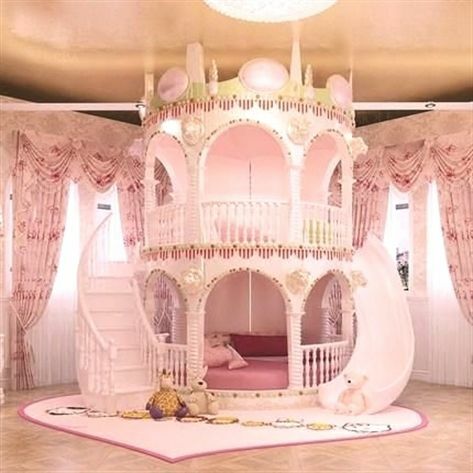 If you want to give not only a bed to sleep but also a platform to play, this castle bed will probably what you need. 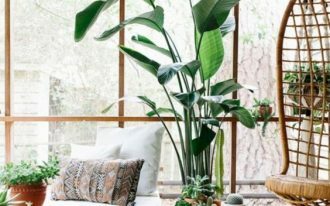 With castle like this, you will be able to create the bed space beneath the play space. Another bed that will make your girls fall in love is this one. Designed with the shape of a tower, this one is also completed with stairs and bridge that looks classic. This one here is for a princess who love a grand and luxurious castle. 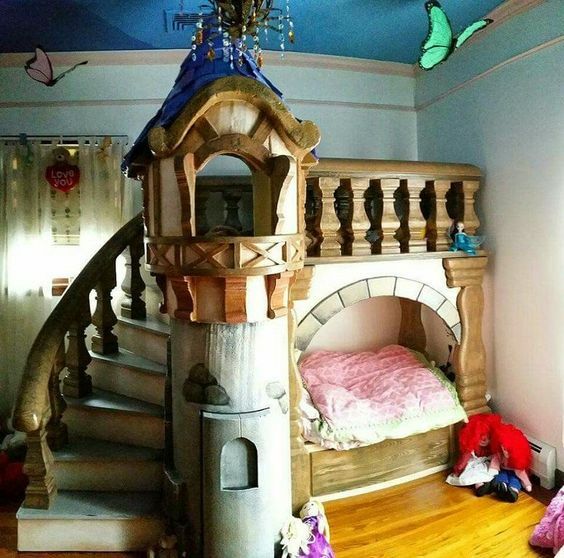 Completed not only with the shape of a castle but also a place for role playing, stairs, and slide, it is not only a bed space but also a play space.